Here are 12 rules or tips for better photography presented by Popular Photography. No.8 is the "Quick Fill Flash Rule" which is very useful especially for outdoors. Learn! I took a ride up the Cuyahoga River this summer on my friend's speedboat. It was near dusk and the light was failing fast. 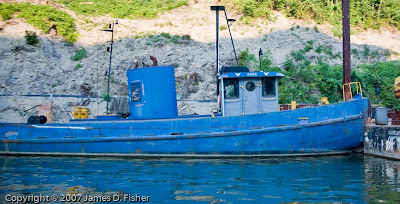 So these aren't the greatest pictures (you try shooting on a moving boat with a telephoto lens at dusk!). Consider this more of a documentation of the types of boats you'll find. Let's start with the Wm. Mather, a massive ore boat that was converted to a maritime museum. It's a pretty cool museum if you're into marine and local history. The rest of the boats support water/harbor tasks and maintenance. The last one is a City of Cleveland fire boat (in case the river catches on fire again. Ohmygod, I just told a Cleveland joke. Yikes!). Enjoy. 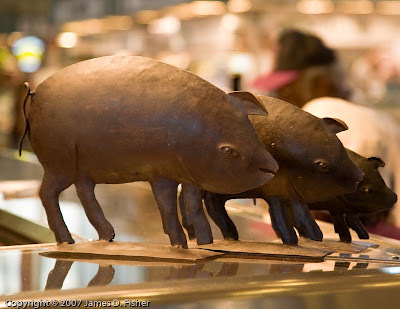 The Flats, the river, and the West Side Market are the perfect solution to a lazy Saturday. 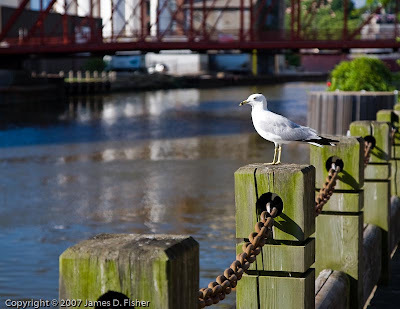 A gull watches the boat traffic along the Cuyahoga River. 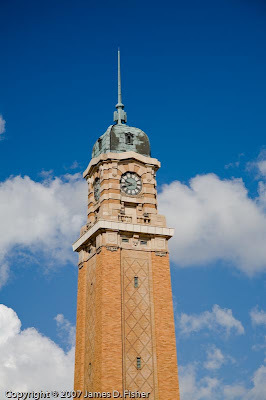 A beautiful clock tower at the West Side Market. 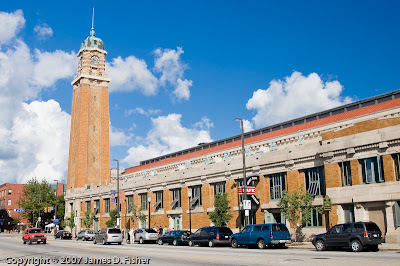 Street-level view of the historic West Side Market. 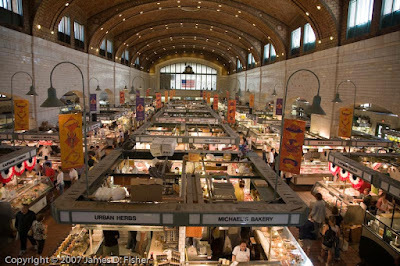 A view from the balcony inside the West Side Market. Gimme that melon! 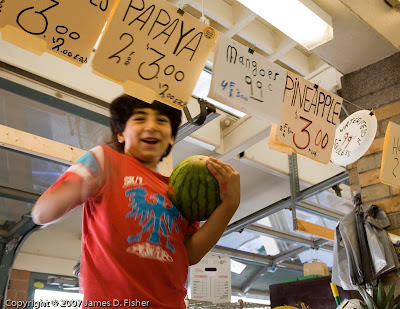 The shopkeepers kids get into the fun at the West Side Market. Attention Photographers: Spend less time in front of the computer and more time behind the lens, with the new Adobe Photoshop Lightroom.